Jackass‘ own Steve-O is now engaged to be married after proposing to his girlfriend Lux Wright. The 43-year-old TV star popped the question in front of his Jackass mates on Sunday, and shared the news on his Instagram. Last night, in front of a bunch of my Jackass buddies, my closest friends, my dad, and my sister… she said “yes”. I planned that for more than six months, and I’m so happy— I can’t wait for you all to see it. Lux, who is a photographer, stylist and visual artist with almost 25,000 followers on Instagram, has been with Steve since summer last year. 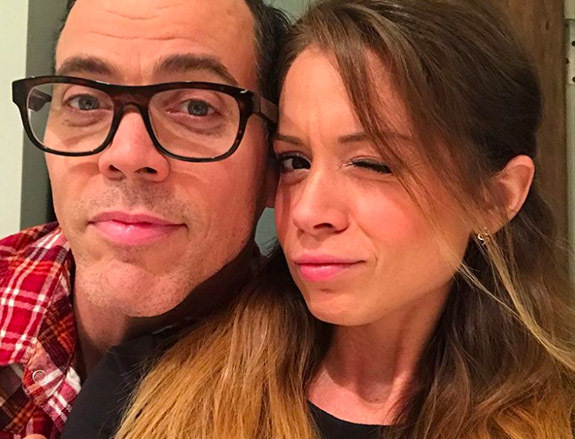 Steve-O, born Stephen Gilchrist Glover, was previously with Stacey Solomon for a short period after splitting up with his girlfriend Katherine von Drachenberg. He divorced from his wife Brittany McGraw in 2008 after being married for two years, and before that Candy Jane Tucker was married to Steve-O from 2002 to 2003. The star rose to prominence as a prankster on MTV’s Jackass in the early 2000s, and was known for his outlandish and bizarre personality. Following the end of Jackass, he struggled with substance abuse, but has been living sober since 2008. It’s always heart-warming to see the Jackass crew back together again, last year Johnny Knoxville, Bam Margera, and Wee Man reunited after seven years apart. They spent years throwing themselves into bushes, falling off skateboards and hurting themselves and each other, and they finally reunited, but sadly Steve-O wasn’t there. Johnny Knoxville posted a photo of himself stood with Bam Margera, with Jason Acuna – aka Wee Man – in the background, saying it had been seven years since they’d last got together. Knoxville, along with friends Jeff Tremaine, Dave Carnie, Rick Kosick, Dave England, and Chris Pontius all met at Big Brother magazine – a skating and humour mag’ – and the idea of Jackass was born. Bam Margera, meanwhile, had released a movie, Landspeed: CKY, consisting of himself and his friends performing various skits and stunts – similar to the idea of Jackass. The CKY crew included Ryan Dunn, Brandon DiCamillo, and Raab Himself, as well as Margera’s mum April, dad Phil, uncle ‘Don Vito’, who died in 2015, as well as his brother Jess. CKY members were called in to feature on Jackass and they welcomed Steve-O on board, who they found working as a clown in a Florida flea market. The show ran for two years, with a 24-hour special on MTV and the guys made a number of successful films, including Bad Grandpa. People were quick to comment saying it had ‘made their heart happy’ to see them together again. 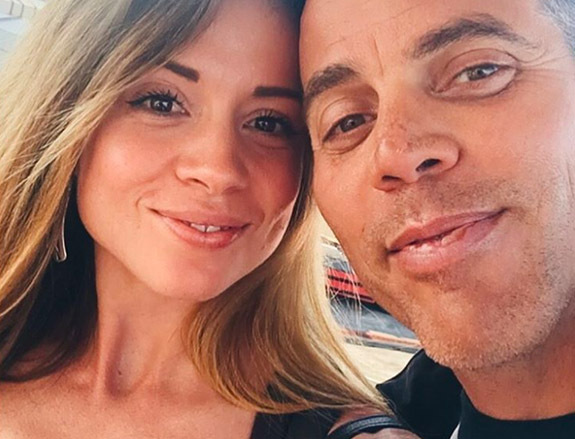 Congratulations to Steve-O and Lux on their engagement!